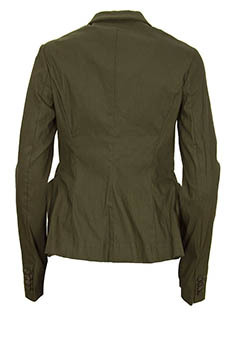 Rundholz Mainline Collection stretch fabric jacket in olive. Panel construction with folded and padded detail, throughout, very sculptural. Finished seams throughout. 2 pockets. Small collar and lapels. 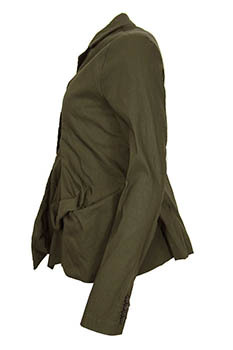 4 button fastening. 4 button working cuffs. Fitted body with flare at hem. Stunning jacket.